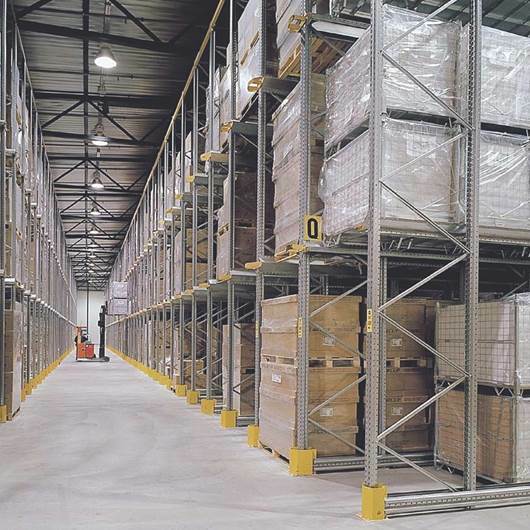 Narrow aisle and high rise racking combines most of the advantages of conventional racking with advantages of better floor utilization and more efficient pallet handling. 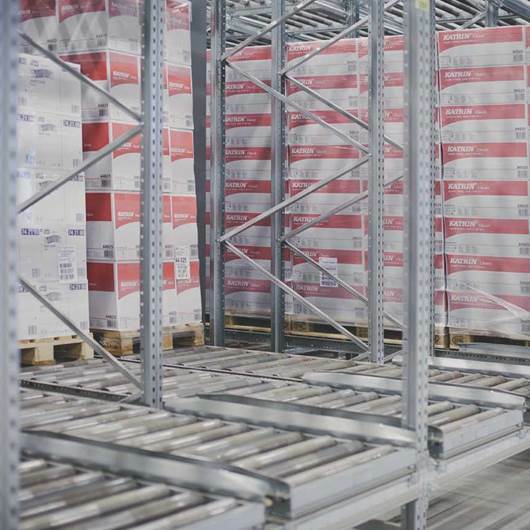 Pallet Flow is a compact storage system where pallets are transferred automatically from the entrance to the exit part of the racking and offers improved internal logistics as well as high density storage. 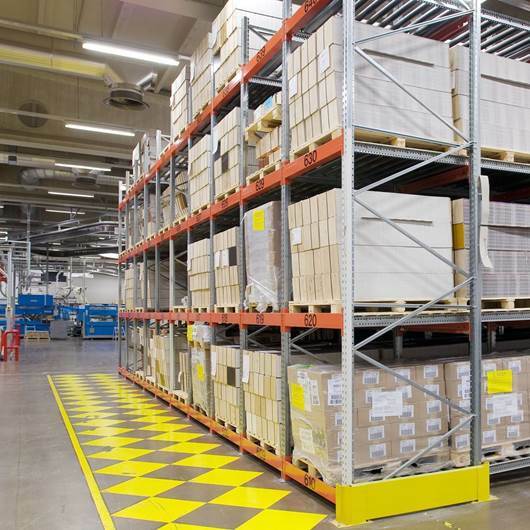 up to 6 pallets in depth where pallets are picked and delivered at the front of the racking. 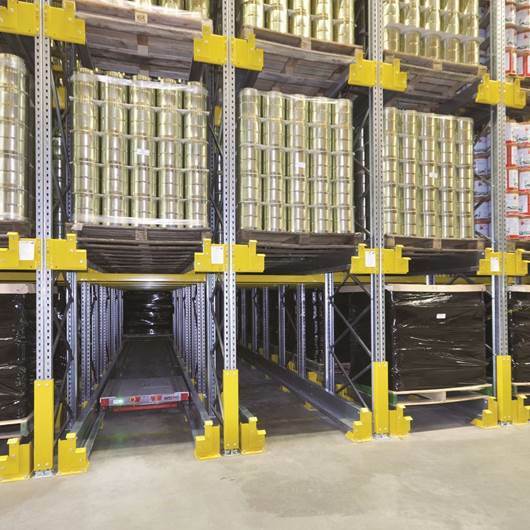 Drive-In Racking is the perfect solution for high density storage of large quantities of similar goods in, and often used in cold store environments. Pull-out units are an important part of a highly efficient picking operation. They are designed to be pulled out of the racking with very little force, whilst containing a full load of up to 1,000Kg. 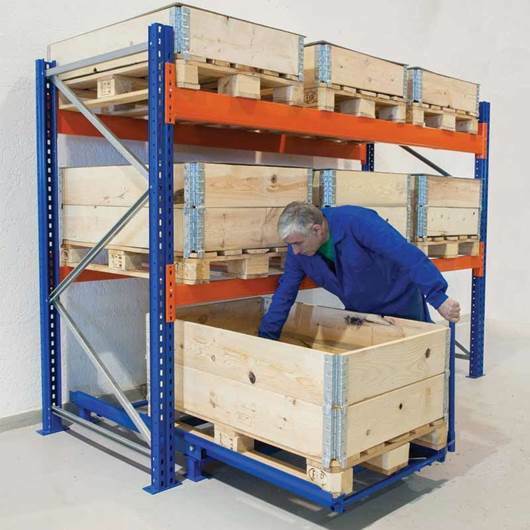 In their extended position, a person is able to reach all the stored items without straining their back or placing themselves within the racking. 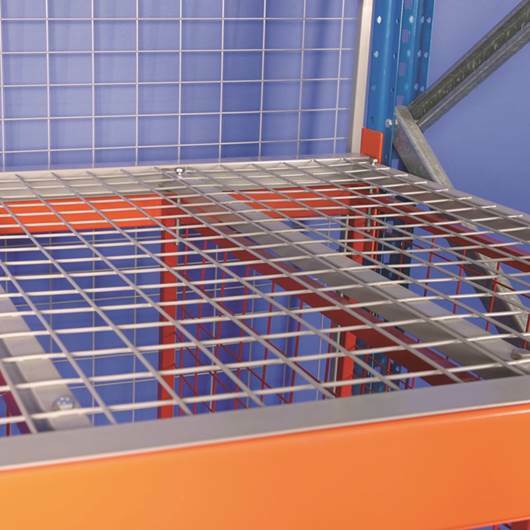 You no longer need to remove items from their original pallets, goods can be stored on the pull-out unit & picked by hand directly from the racking. 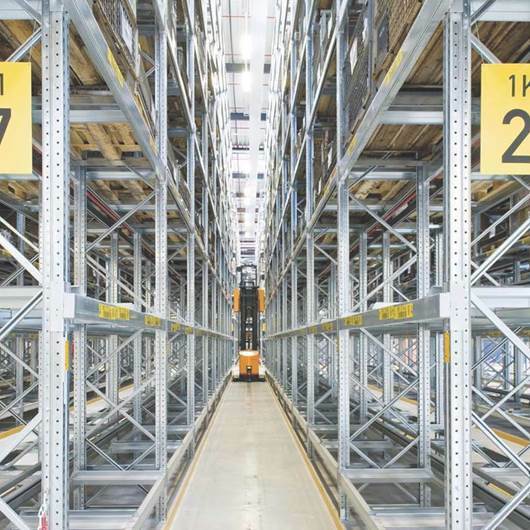 Releasing the safety catch and pulling on the unit’s handle results in the pallet and its goods being brought out of the rack into the aisle, making them accessible from three sides for hand picking. Special dimension pallets can be catered for - P.O.A.